1910 E Palm Avenue Tampa, FL. | MLS# T2923158 | Tampa Residential Real Estate Sales and Property Management. Our office is centrally located in Ybor City. First Floor, Courtyard View with two parking spaces at The Quarter at Ybor. This floorplan features built-in's in the foyer, a large utility room with washer and dryer, 2 bedrooms, 2 full baths, separate dining room, open air balcony and a galley kitchen. Property has been updated with wood flooring, stainless steel appliances, granite countertops, closet system in the Master Suite and cabinetry in the utility room for added storage. Located in building two, it's a just a few steps from your parking spaces to your door. The community is gated, has two swimming pools, hot tub, fitness center and recreation building. The location is prime. 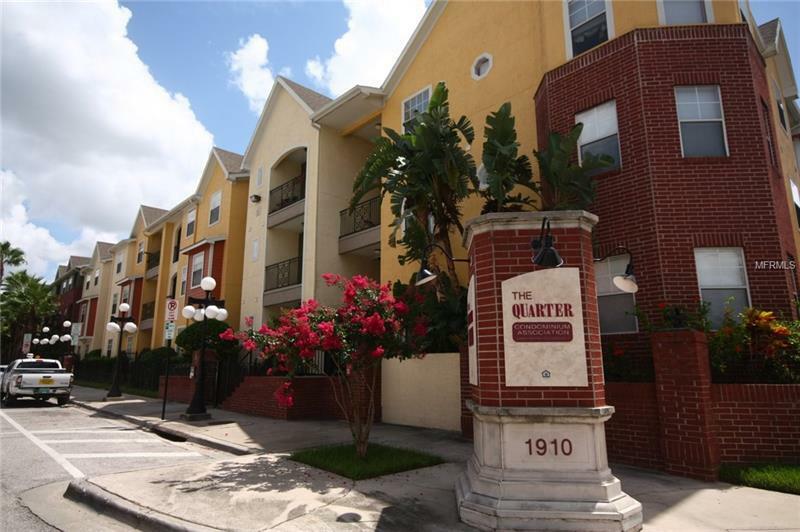 You are walking distance to all the Ybor has to offer and close to the major highways. Easy commuting from this address. Property is sold subject to lease. Contact us for a private showing.